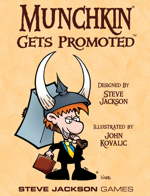 November 15, 2013: Now Shipping! Your FLGS is going to have all sorts of great stuff soon! 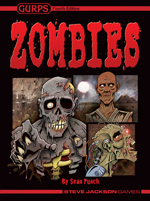 We've got the Zombie Dice Brain Case, Munchkin Gets Promoted, Munchkin Pathfinder: Gobsmacked!, and GURPS Zombies! 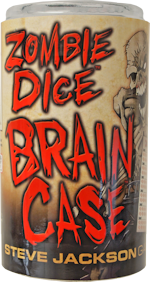 Upgrade your game with the Zombie Dice Brain Case . 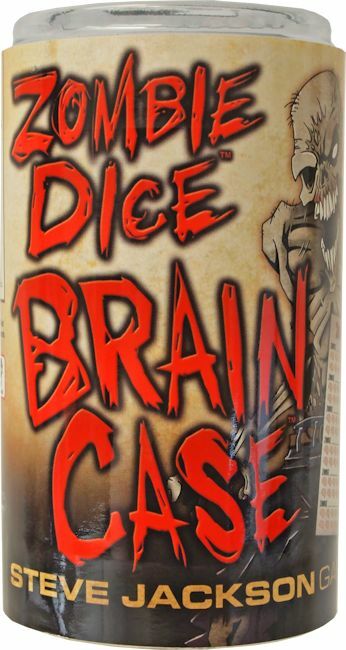 . . a stylish, noisy dice cup with a screw-on lid ringed with 13 braaaaaaaiiiins. Brraaaiiiinnnnsssss!!! It comes with one Zombie Dice Score Pad for easy brain counting. This is not a stand-alone game. This is an accessory for Zombie Dice. 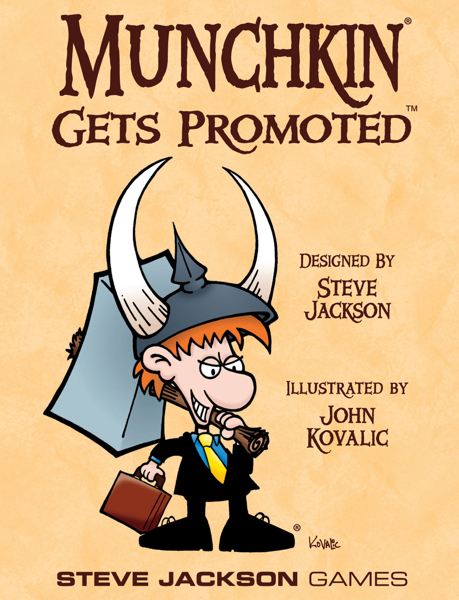 Our Munchkin promotional cards have been popular giveaways for years, but they've been tough for some fans to track down. Worry no more! We've taken a dozen of our favorite promo cards and made a new booster pack out of them . . . and, for good measure, we included three NEW cards, never before available! It also has three NEW cards: Billiard Ball of Nonexistence, Get A Head, and the titular Get Promoted! After we finished Munchkin Pathfinder we found another hob of goblins hiding under the desk . . . so we made a booster out of 'em. Fight off the Goblin Babies, Cog Goblin, and Goblin Hood with the Gobliterator! Just don't get Gobsmacked! . . .
Undead, Infected, or Just Plain Cursed? So . . . you think you know zombies. Are you sure? You want to be certain about something like chopping off an arm after a crazy person gets bitey, and it would be most unfortunate if you were looking out for the walking dead when a little kid with a fever lunged for your brains. If only there were a guide to all this stuff! Get ready for the time of your life -- or unlife, if need be. Every zombie fan will find something to cackle about here! 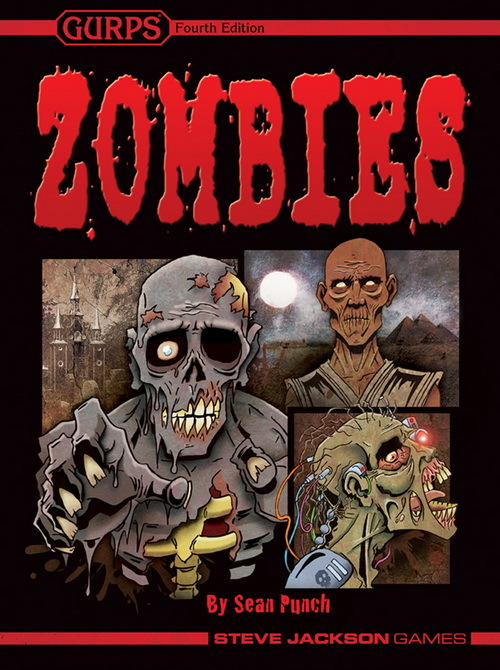 GURPS players get the bonus of detailed rules and stats to tell them exactly how hosed they'll be when the zeds turn up on their doorstep.